The shutting down of Hackulous at the end of Dec 2012 was a shocker to many iDevice users. 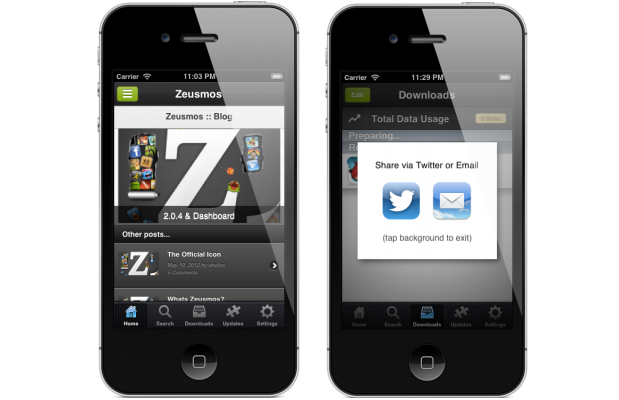 The Installous app had been a major one and quite frequently downloaded on Cydia. Well, subsequent to the shock, developers do realize that it is time to move on. They have been presenting the uses with alternatives to Installous. In this post, the best 5 alternatives would be targeted. Disclaimer: Before reviewing, we make it clear that it is against piracy. The legal way for users would be to use App store for downloading purposes. The intention over here is purely informational. AppCake is one of the best Installous alternative. While the basic functioning is same, the major difference is that AppCake is only restricted to iOS devices that have been jailbroken. For those users who haven’t jailbroken, this app cannot be used. For the installation purpose, AppCake repo is a prerequisite. While its specificity for jailbroken devices can be considered as a drawback, its advantage lies in its ease of use. 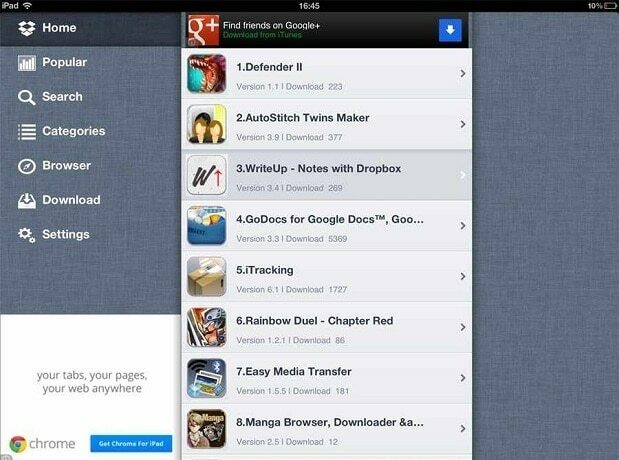 Also it offers users a larger number of apps that can be downloaded for free. This comfort level has made it a Installous alternative of choice for jailbroken devices on iOS 6.1.2, 6.1.3, 6.1, 6.0 and 5.1.1 firmware. Using this, it is possible to have paid apps without any cost. The beauty of this app lies in its functionality. By using this, users wouldn’t even have to jailbreak their devices. This gives this app an edge, since it is one of the few ones around that is offering such flexibility of usage for iPhone, iPad and iPod Touch. Another surprise package is the fact that this app was made by a fifteen year old named Kevin. When the issue of piracy was raised, he disclosed that this was not his intended purpose. He has also expressed that the piracy aspect would be catered through an update. 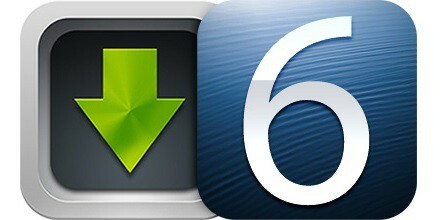 At this moment, it is available for download for all iDevices in both jailbroken and conventional iOS form. As per latest information, fees of $5 would be charged per year. Vshare is also commonly referred to as App VV and is a pretty solid Installous alternative. 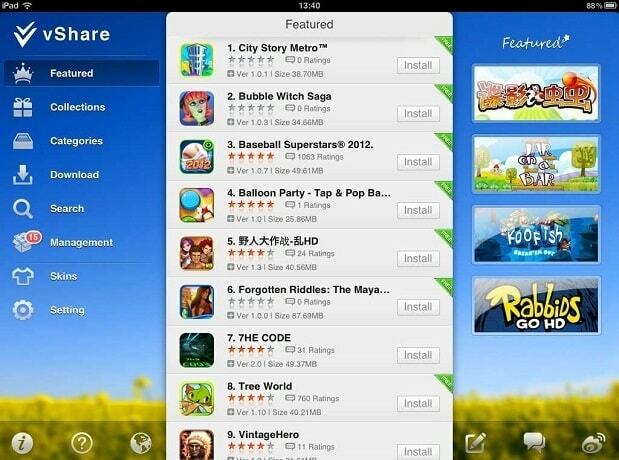 This app is also able to provide users with the ability to download paid apps for free. In a matter of small time, this app has had a major following in the jailbreak community. Vshare or App VV both refer to the same app that is available from Cydia. AppCake and Vshare have become an alternate of choice for people who have jailbroken devices. As is the case with the remaining of the alternatives, the working format of Vshare is same as Installous. There is also a level of similarity in the interface of the two apps, which makes it a good alternative. As was the case with Kuaiyong, the language of the interface is in Chinese. Translating it is a tough job and hence is a drawback. This app which is an alternative to Installous can run on iOS 6 as well. The name of this app is Chinese and means “use quickly”. The mode of operation is similar to Installous. In this case also no jail breaking is required and apps can be downloaded for free. The basic difference between Kuaiyong and Zuesmos is in its form of licensing. In the former case, bulk enterprising license is being used to allow paid apps to be downloaded for no cost. As mentioned earlier, this app is completely compatible with the latest iOS 6. 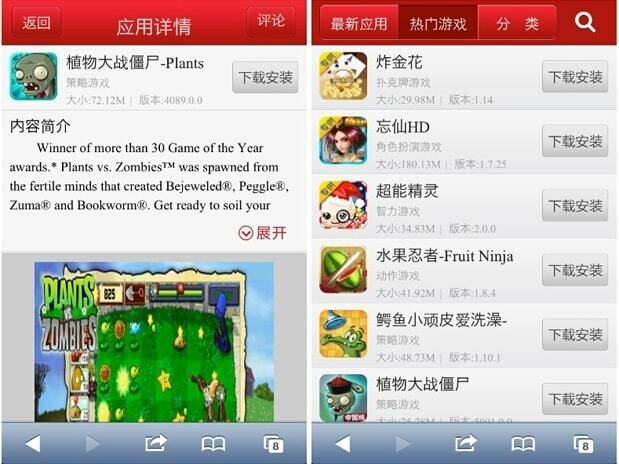 The only catch here is that the interface is in Chinese and can be a problem for non-Chinese. This is the last of the Installous alternatives that are being reviewed here. 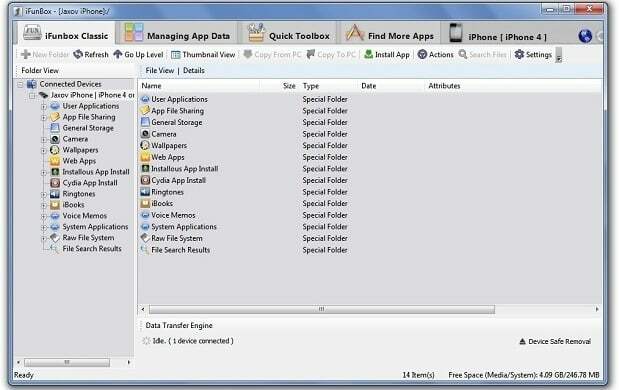 iFunbox’s basic use if for managing, browsing and transferring files between iDevices and Windows/Mac platforms. While it started slow, it has since developed a large popularity in the Installous community as a worthwhile alternative. Installous 5 was not compatible with iOS 6, which was a major drawback. However, iFunbox is totally compatible, which is a big bonus. People using this feature would experience no bugs as some had complained in the case of Installous 5 for iOS 6. Another aspect is that iFunbox has updated itself to a 2.0 version. This has increased functionality in terms of the interface and also management tool. The bottom line is that it has made app installation and downloading a whole lot easier. The diversity of use can be understood from the fact that this feature not only manages the app but also the files that are stored on the device. These files can be your photos, music or even videos. The main focus of iFunbox is on the app installation aspect. 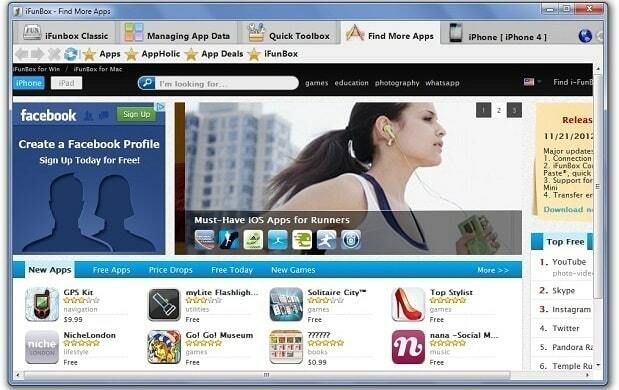 This allows users to search for apps using customized options. They have sorted into different types based upon their availability ( new, top paid, free). In addition to this, there are special features present in the case of celebratory seasons like Christmas. So in this post, we have completed a review on the best Installous alternatives that are available. The ranking criteria were focused on ease of use and also the level of features that are on offer in the different apps. So for those who were dejected with the closing down of Hackulous, this post is a cheer up message for accessing alternatives. Do check them out, and report any new that you find.